I am fairly scatter-brained when it comes to baking. Either I see a picture of a dish I want to re-create, or an idea pops into my head. Regardless, I never have butter sitting out. Do you have this problem? Being that I go through approximately 16 tons of butter weekly, sometimes the butter is even in the freezer. This poses quite a problem. I am not exactly an example of patience. Martha Stewart says to cut up the butter in 1/4 inch slices and let it sit for 10 minutes. What happens when you are a 26 year old freak with insane hot flashes and your house is a frigid ice palace? Martha’s technique, sadly, has failed me. It would work if I had more patience. But I don’t. So, Mother Lovett taught me her trick. Put the butter in the microwave for 6 seconds. Not 4. Not 7. Only 6. Run for 6 seconds. Run again. And again. And again. Just until the butter is soft. Why not just run for 24 seconds? I don’t know. Don’t ask. Pray to Mother Lovett in Heaven and see if she’ll give you the answer. Unless you have a demonic microwave that sounds like a jet engine is taking off every time it’s used. So I’ve learned that if I put it in MY microwave, it can only be for 3 seconds. Better than throwing a giant tantrum since I won’t have softened butter for 3 hours? Absolutely. I love vanilla beans. I love working with them. I scraped this baby clean. I felt I had to, since I spent my entire life savings on this vanilla bean. Totally worth it. My husband committed the ultimate sin. He bought me lowfat buttermilk. The cupcakes looked gorgeous when they came out of the oven. Beautiful. Full, fluffy, and the perfect size. I left them to cool, and went back to finish eating some calorie-laden dish chock full of bacon grease and cheese. But when I waddled over to check on the cooling cupcakes, what did I find? I kind of just threw this recipe together, so wasn’t sure where I went wrong. Judging from the amount of cupcakes I had, I decided I definitely had added too much milk. It drove me crazy, so I made them again. I used regular milk (actually – I used organic skim) and less of it and this time the recipe came out perfect! Lesson learned: do not test a recipe with $14.99 vanilla beans. Unless you enjoy throwing $14.99 in the garbage can. Here is a beauty. See the specks of vanilla bean? My husband would not even try one. He hates vanilla bean. That is what he says. He loves regular vanilla. Please tell me – is there a difference in taste of regular vanilla and vanilla bean? How could you like one and not the other? I think he is it’s mental. Since the cupcakes worked, it was time for the frosting. I made a basic buttercream and added more cash vanilla bean to the mix. I love the specks! I still can’t get over them. I have always been an early riser. I went through a period where I would wake up before school, get a small bowl of vanilla bean ice cream, and mix it up until it became like soft serve. Then I would eat it while watching Captain Planet. And I wasn’t 6 or 7 years old. The picture does not do it justice, but the frosting has a pearlescent glow to it. Vanilla bean pearls. Cream butter, sugar, and eggs together until fluffy. Add vanilla and scraped vanilla beans. Make sure vanilla is mixed into batter. Mix butter and powdered sugar together, adding sugar gradually to the mix. Add milk gradually, vanilla and vanilla beans. Continue to add milk and sugar until it reaches the desired consistency. Stay tuned for a delicious giveaway. Become a How Sweet fan on Facebook!! What is the yield for this recipe? 12? 24? 16? Thank you for sharing this wonderful recipe. Once, i went to my local Whole Foods and bought one for $6. Then my good friend referred me to http://www.saffron.com/vanillalowprice.html . I received about 100 or $20. Now, I have to find some way to use allllll the precious and delicious vanilla beans. I make my own vanilla creamer, vanilla extract, and even a couple of fancy cocktails that call for a few vanilla bean specks. I hope I’m not violating the terms of your blog by listing the url for the beans. Feel free to remove my post, but be sure to buy this bundle of beans. Now, I’m off to make your Strawberry- lime stuffed cupcakes. Thank you again for your sharing your talents. I sincerely appreciate it. Hey Jessica, how many cupcakes does this recipe yield, a dozen? Thanks! Vanilla bean is awesome. I make my recipe with a whole vanilla bean, and a easpoon of vanilla extract. It’s vanilla heaven! I’m going to try it in the batter next, thanks for the suggestion! Instead of cupcakes could I just throw this into a cake pan? 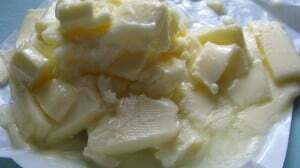 If butter should be softened you should add that to the actual recipe and not just in the blog text.